We are very pleased to report that our trip to Las Pilas was a very rewarding experience and a successful venture. It is always exciting to return to a community that we have visited before. We were welcomed back by Leonardo Reyes. Our hosts took very good care of us and the food was authentic Nicaraguan fare. We thoroughly enjoyed the experience. The love and support from the community were overwhelming. Travel to the village was much easier this year due to highway improvements in Nicaragua. The home that we stayed in and the Community center where we worked have also had some upgrades since our last visit. This made our stay in Las Pilas more comfortable. Unfortunately, the circus was not in town this year so the entertainment was limited. Our dental clinic had several site visits from the local health authority. They were very impressed with the clinic operation. We were asked to collect specific patient and treatment data and we were required to submit a summary report. The health nurse took the opportunity to vaccinate the people waiting for their dental appointments. 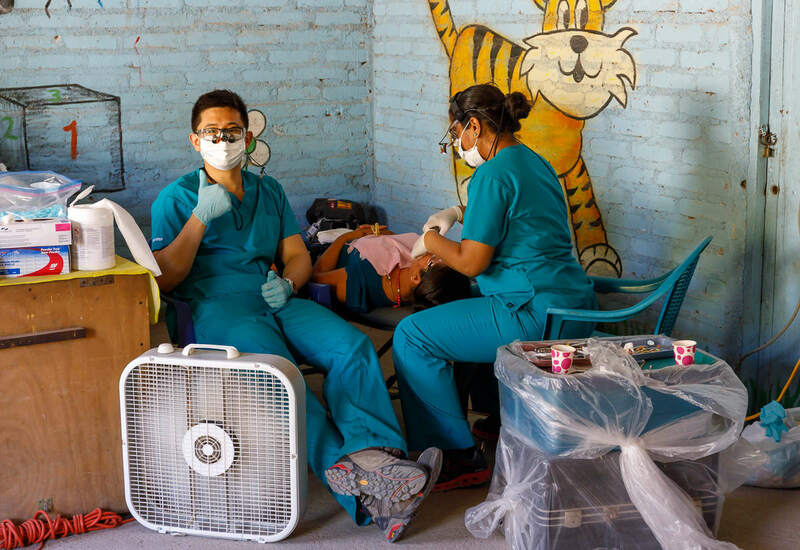 The government is requiring a lot more documentation for our work in Nicaragua, which should help to improve the quality of care in the country. We had an amazing team join us this year. There was the perfect combination of experienced dentists, assistants, hygienists and dental students. We all worked well together which made the experience even more enjoyable. We appreciate the dedication and hard work by our team. Working and living in the village can be exhausting but no one complained. 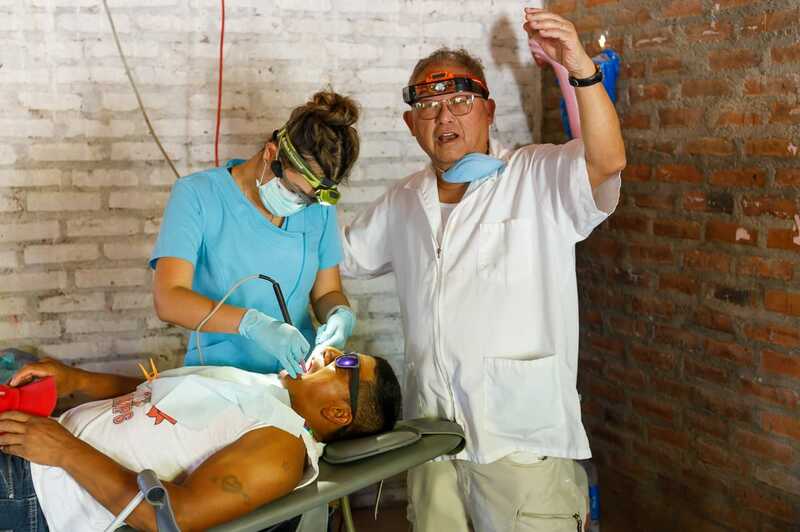 Everyone was focused on our goal of providing dental care to those in need. We are very pleased to report that we saw 310 patients and completed almost 900 procedures in 2 weeks. We are very proud of the team’s accomplishment. There were a few challenges. The process to approve our trip to Nicaragua was much more involved and time consuming this year. We appreciate the work done by Luis Enrique Cruz Mora from FUNDACCO to help us coordinate our trip. Fortunately, our Aval documents were at the airport when we arrived in Managua. We were detained in US customs in Edmonton because we had not declared our dental supplies as commercial goods. Just a little intimidating! We have learned a lot from the process and will make some adjustments to improve the process for next year. 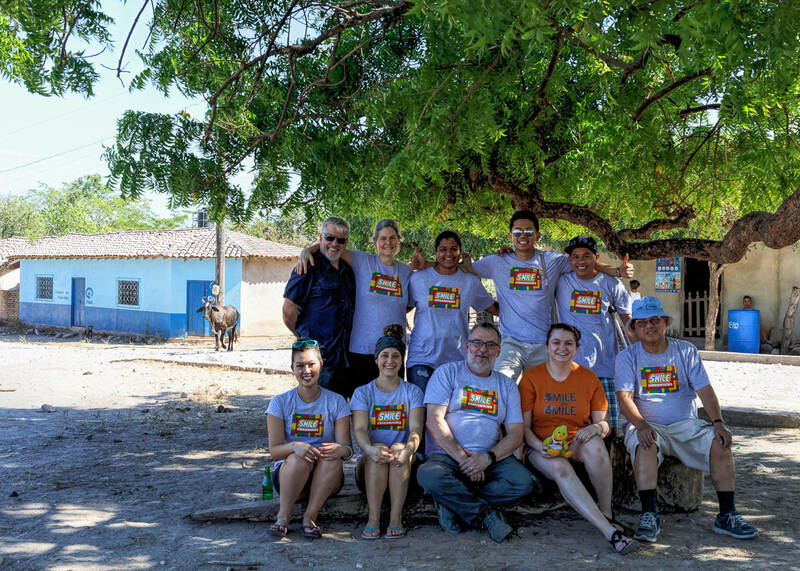 Our team had the opportunity to also tour around Managua, Leon and Granada to experience the history, culture and the spectacular scenery of Nicaragua. It is a beautiful country but it is the people who are appreciative of the work that brings us back.